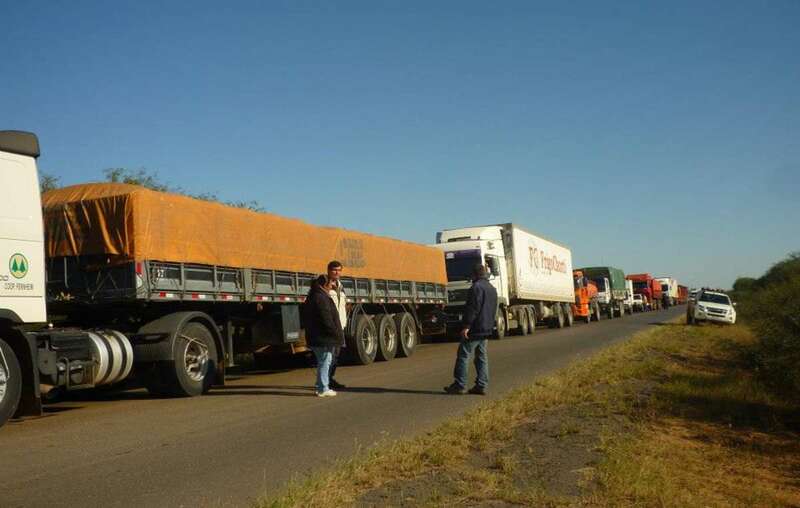 A key South American highway connecting Paraguay and Bolivia is being blocked by an Indian tribe angry at the destruction of their rapidly-shrinking island of forest. 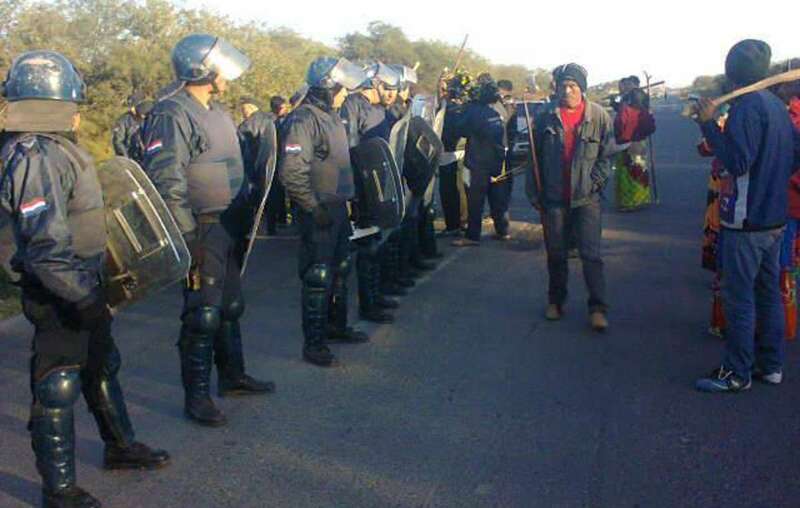 Ayoreo Indians today blocked the Trans-Chaco Highway, which forms part of the Pan-American Highway, and have vowed to maintain their protest until outsiders who have occupied their land are removed. 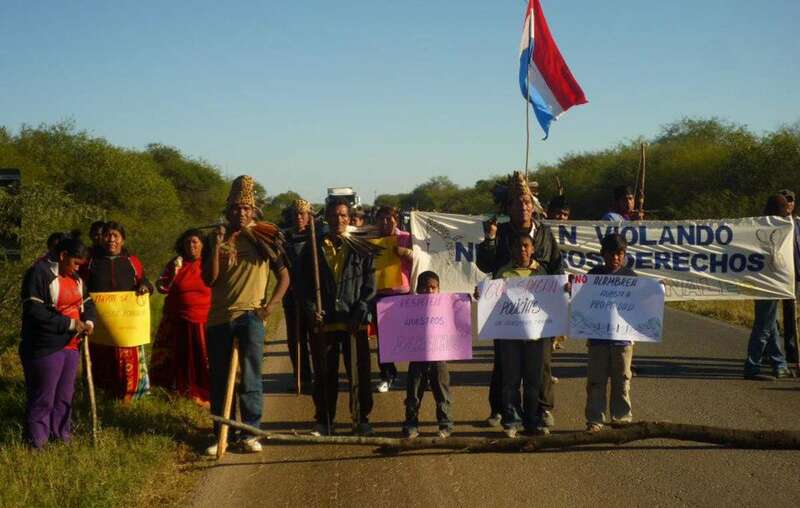 The Indians are angry about the illegal invasion of their land by two Paraguayan farmers, in an area to which the Ayoreo secured official land title 16 years ago. 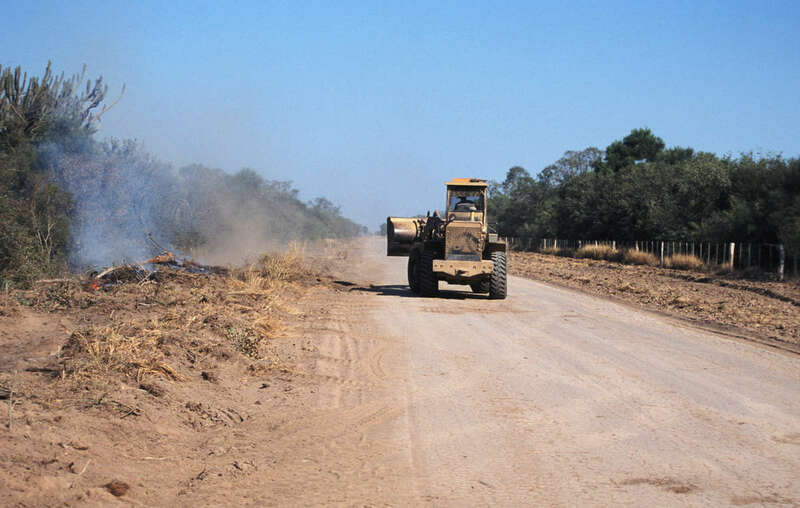 The farmers and their workers have erected cattle fences and bulldozed wide tracks, and claim that the land belongs to them. 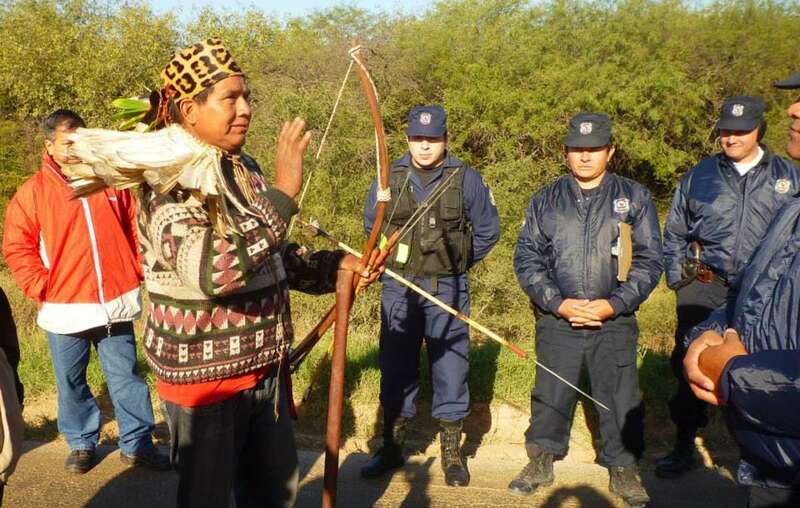 They were guarded by police, to prevent any attempt on the Ayoreos’ part to stop the work. 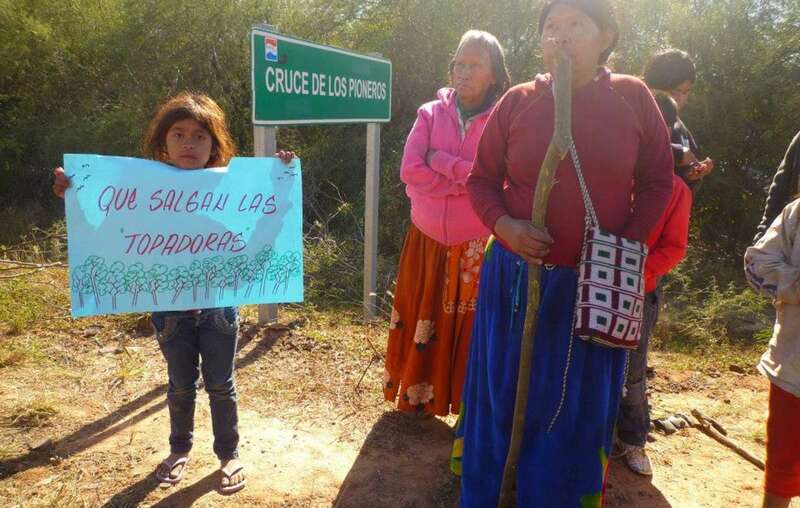 The land is titled to the Ayoreo, but the farmers have erected cattle fences and bulldozed wide tracks. 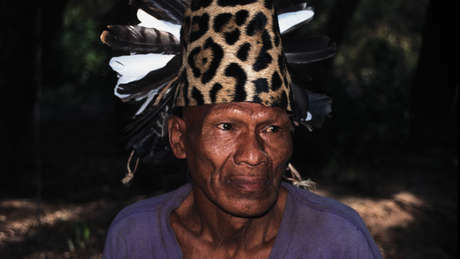 Although most members of the Ayoreo tribe are contacted, some groups are known to remain uncontacted in the forest in the area now under threat.